He is walking so well and look at big brother helping. Quite a cute pair you have there. I don't even think that I knew what your husband looked like. LOL! You too are so cute and I love that coat! Such a good picture of you and your husband and the boys are precious as always. Do you like the book? I've read all of hers, I think she is a great author. i love that book! That pic of you too is so great and love that pic of the boys, so precious. The picture of them holding hands is to much. So precious. OMG Charlie is such a sweetheart, that is so precious! He just loves little Walker so much, and that video of Walker.. too precious!! Oh these photos are so sweet!! That one of your two littles holding hands... I hope my babies are friends like that! 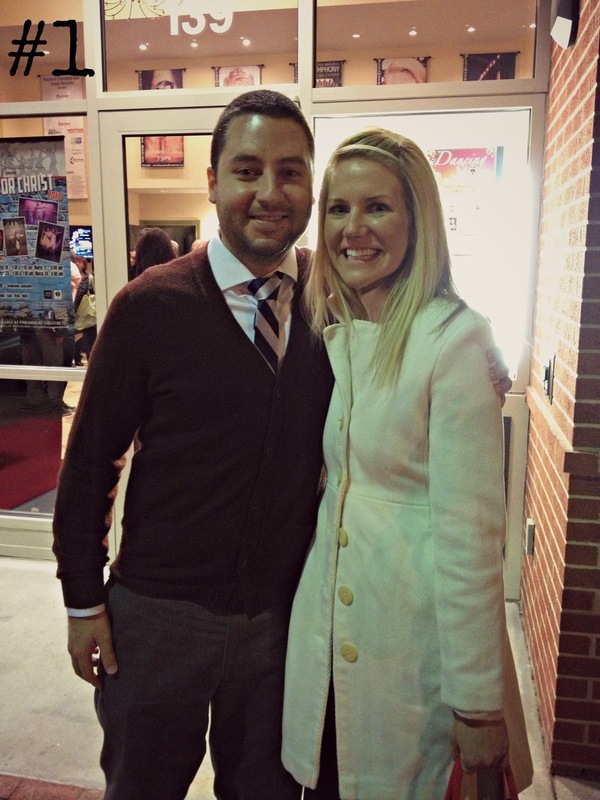 Thanks for linking up with us Ashley!! I LOVE that last photo! How sweet of big brother!!!! Look at Walker go!!!! And that picture of them holding hands is too sweet! Those are some cute kids you have there :) And I was a big fan of that Emily Giffin book - love her! Ashley! You're my first link up! yay! thank you! Love the pics! Looks like a great March!!! I linked up but my link isn't showing for some reason and it won't let me do it again.....don't know what's up wit that. His little walk is so cute! You and your husband are a beautiful couple. No wonder why your kids are so darling! I love this link! Such a great idea! Emily Griffith... Enough said! I've read all of her books... Why because as a mama to five a mindless read at the end of a long diaper changing day is exactly what I need! 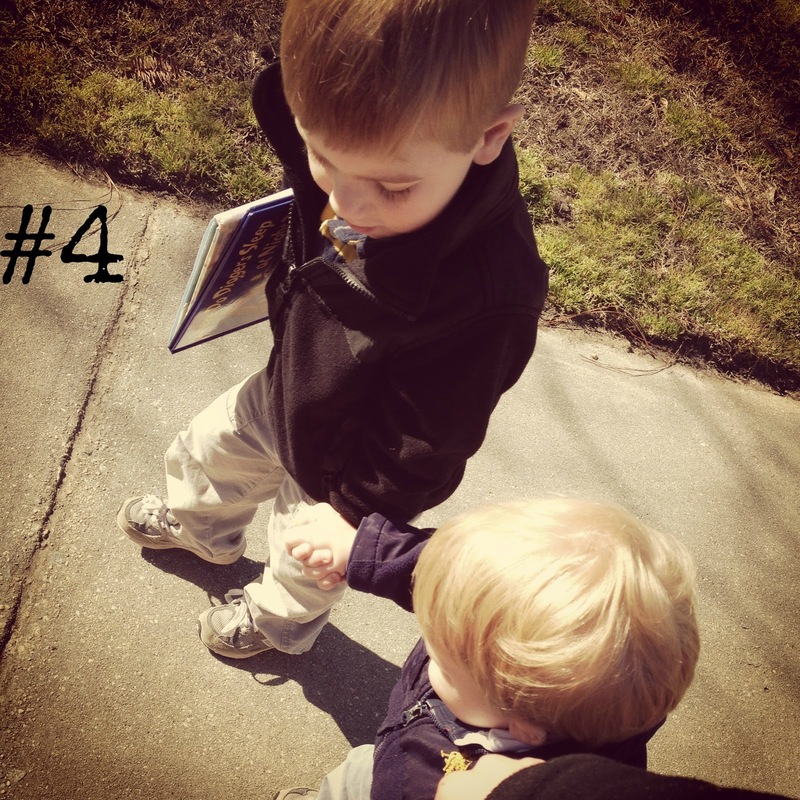 Love your blog... Adorable! Look forward to following along! SO much fun! I love that you can read, that is something I am really missing! I love your coat in the first picture as well! YOUR FAMILY - I love!!! What a cutie big brother - that just melted my heart! 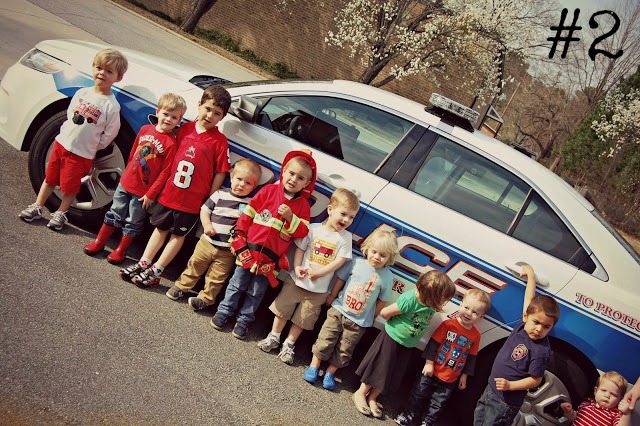 The fire station party pic is adorable! 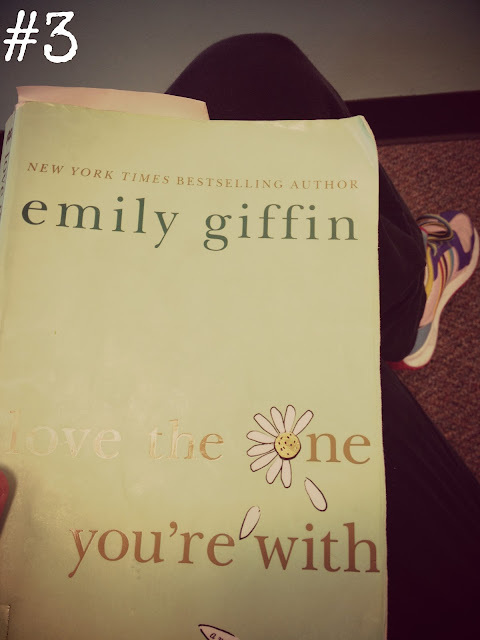 Emily Giiffin novels are great! A fire station party...what a great idea!! I'll probably have to check out that book! Oh my goodness though, those little boys holding hands and saying he was proud, SO precious!! Love the video too! Your boys are so sweet! I just love how kind they are to each other! What a great picture of you an Noel! I live that you can find to read... I really need to work on finding time. I definitely miss it. I hope you and your sweet family are having a great Easter weekend! love Emily Giffin books too! such good reads. I would kill for some quality reading time. Such a sweet big brother! So cute to watch little ones walk. And yes always nice to get couple shots. Okay, I don't think I have ever seen a picture of Noel...and I have been reading a long time. He's a handsome gent! ;) Beautiful couple! hey Ashley! I didn't know you had a Monday Meme? Huh? How did I miss this news? I will join in tomorrow if thats ok. I am back at my computer for a bit. I had a GREAT break! What did I do? I WENT SHOPPING!!!!!!!!!!!!!!!!!!!!!!! I guess that's the sacrifice us parents make. Once the little ones come, say good bye to sleeping without kids, fancy restaurants, and being in the same photos together lol. Love the coat, and very cute pictures :) Thanks for visiting my blog! I'm now following you via GFC. You two are such a beautiful couple! awww that picture of them two holding hands is the sweetest! looks like a great month!